The Social Security Board in 1938. 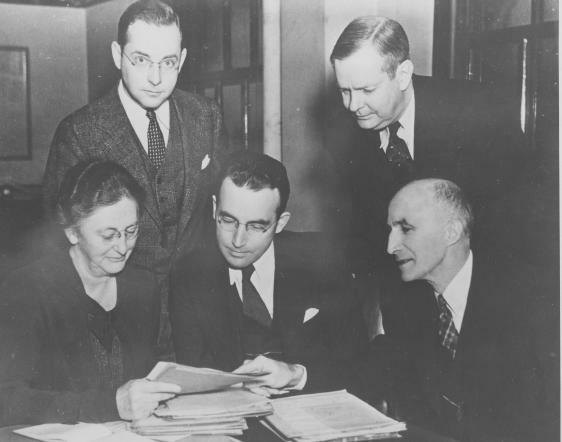 Standing (left to right) Jack Tate, Counsel to the Board; Frank Bane, Executive Director; Seated (left to right) Board members: Mary Dewson; Arthur Altmeyer; George Bigge. SSA History Archives.